Another from the Insiders Report and Dual At Dawn has plenty going for him from a trends perspective. Impulsive Star has to defy the age stat but off a light weight and his rider’s 3lb claim he should go well. Carole’s Destrier is still very well handicapped on old form. Of course even Nick doesn’t find the winner of all the races given the trends treatment but for 3+ years he has enabled Members to make substantial gains from his approach. This 3 mile limited handicap has been contested on heavy ground on 9 of the last 11 renewals and no surprise to see that the top weight (or joint top weight) has won just 2 of the last 18 renewals. Update – As it stands at the moment the official going is good to soft, soft in places with rain forecast on Friday and a possibility of snow so an inspection at 7.30am on raceday is planned but the clerk of the course Kirkland Tellwright was reported to have been confident racing will go ahead. One of those winning top weights came on soft, the other on good to firm. If the going is heavy we can give the top weight a swerve. In fact, 14 of the other 16 winners carried at least 7lbs below the top weight. Only 2 horses have carried more than 11st 2lbs to victory since 1997. Venetia Williams (Otago Trail) is adept at training the mudlarks and she has twice trained the winner of this race. Likewise, Sue Smith (Wakanda) has won the race 3 times so look out for runners entered by these two. There has been only 2 winning favourite in the last 18 renewals and that is in spite of this race seeing small fields of 5 to 7 runners in the past. 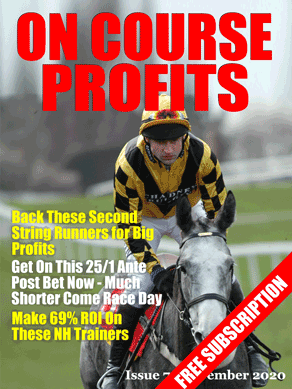 In fact, horses sent off at 4/1 or shorter have provided just 3 winners from 24 runners. Do not be afraid to back a veteran chaser if you fancy one as this race has been won by two 12yo’s, one 11yo and four who were aged 10yo. Despite this, 8yo runners have the best record and are 7-42 at a strike rate of 17%. Horses aged 7yo (Daklondike) or younger are few and far between and have a record of 1-25. Horses with experience of marathon distances (3m 6f or further) have a good record and are 7-52 (strike rate 13.5%) and horses to have run in the Grand National are 3-21 (strike rate 14%). Eleven of the winners since 1997 had winning form over at least 3 miles and the last 9 winners had all been off the track for 21 days or longer. Course form counts for a lot with 9 of the 18 winners already successful at Haydock. However, they have a vastly superior strike rate to the 9 yet to win at the track. 17 of the 18 winners since 1997 had won no more than 3 handicap chases and those with a win on the board in the current season have a better strike rate than those that have not. That gives us a decent profile to identify some of the likelier types who will line up for the Peter Marsh Chase. The weekly Members Report forms an integral part of the comprehensive Insiders Club package so if the previous 12 months have not delivered the level of returns that your punting exploits had aspired to then why not make a change for the better and check out how the Insiders Club can help 2019 be more profitable. You can find all about it here.